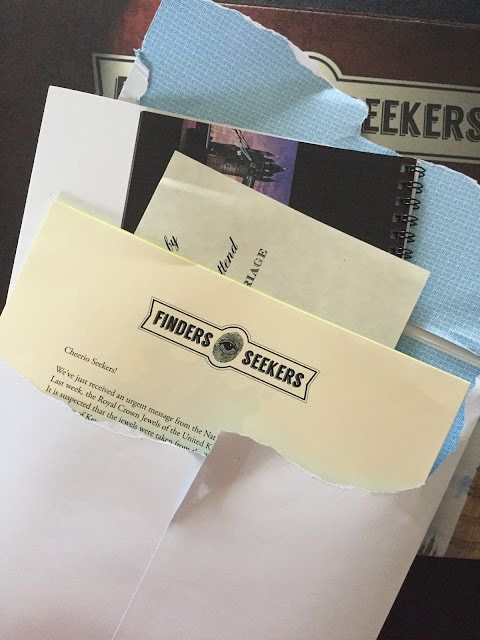 February 24th - The kids and I have been working on Finder's Seekers London Box. It is an escape room in a box. You get everything you need to figure out who is the thief but believe me this is challenging. More on this in a later post. 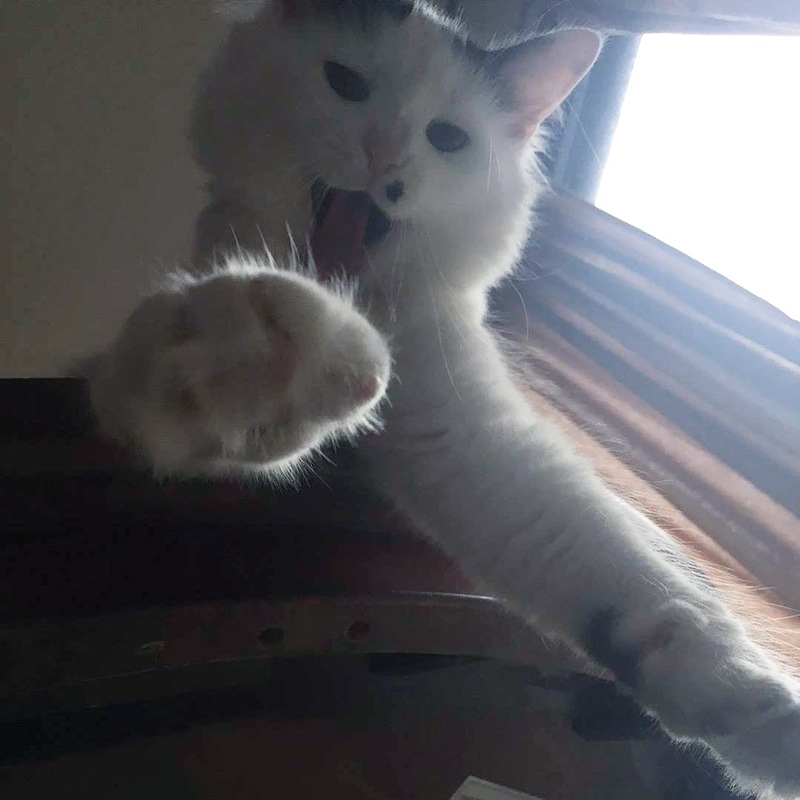 February 25th - My daughter got this photo of Luna laying on the table looking down at her. It makes me smile every time I look at it. 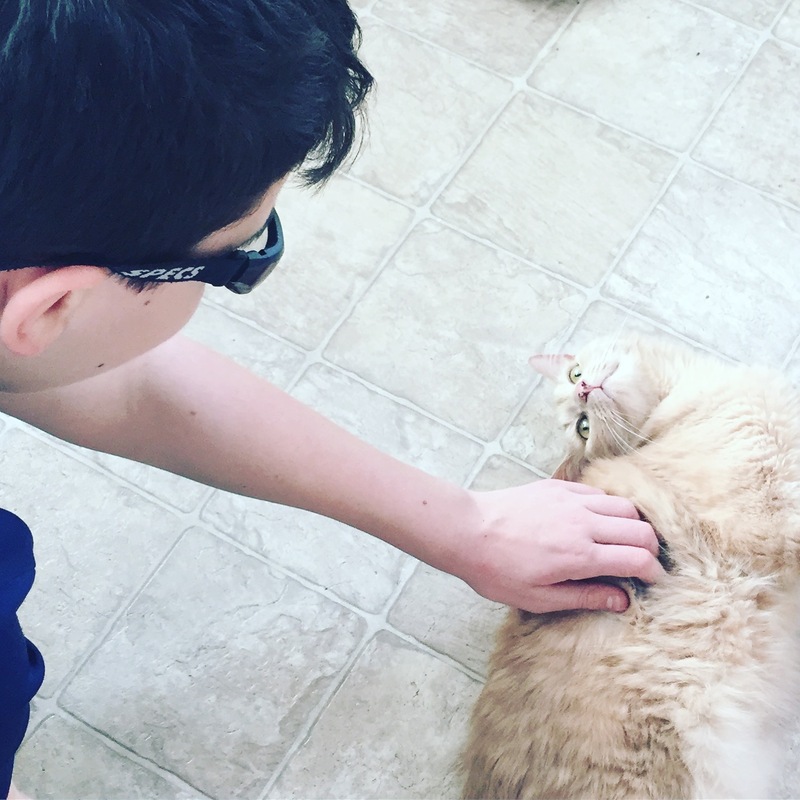 February 26th - the kids and I did some cat sitting this month for three fur babies we never watched before. 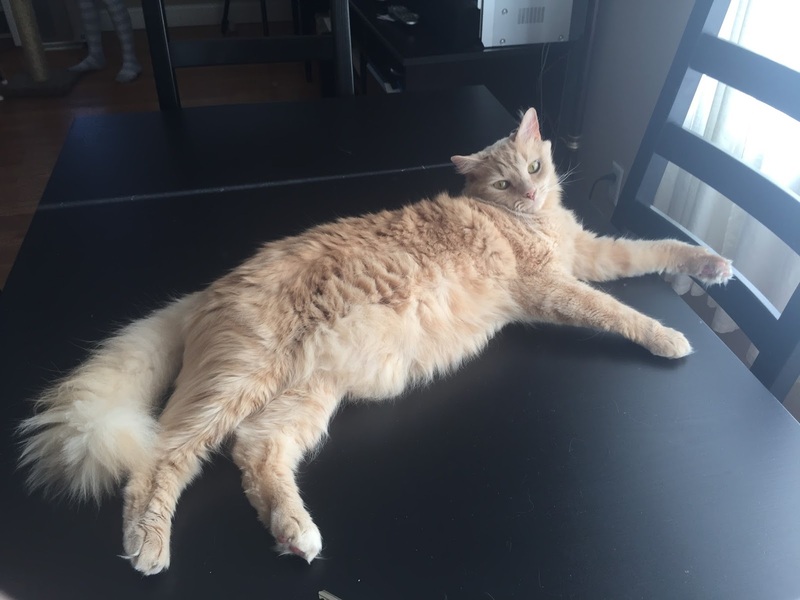 This is Georgie and he is a sweet. My son loved spending time with him. February 27th - George was always looking at the window when we drove up to the house and usually met us at the door but this day he just looked at me while I cleaned up his food mess. He know he was totally judging me and wondering if I was in fact his new person. He didn't know his family had to prolong their vacation due to a storm. We gave them 3 hours a day of love but I am sure it was nothing like they are use to. February 28th - It was Dr. Seuss Week and I was wearing all the colors I could possibly wear thanks to my Goddess who told me "don't worry mommy. I've got you!" She put together one heck of an outfit. This is my shadow while at work. 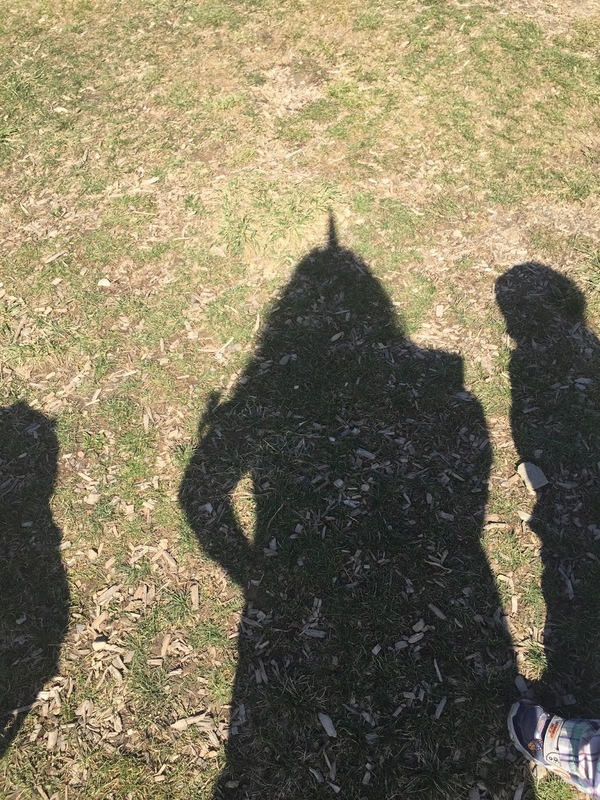 The spike sticking out of my head was a multicolored unicorn horn. Felt foolish but my toddlers loved it.